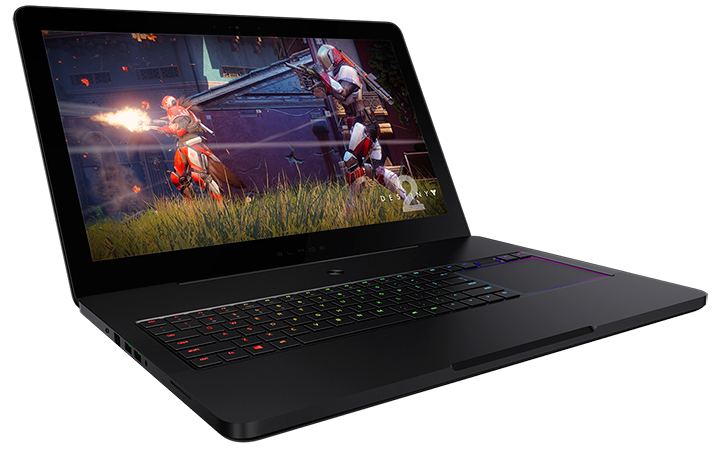 Enthusiast gamers in the market for a powerful 17in laptop would be right to have the Razer Blade Pro on their wish list. 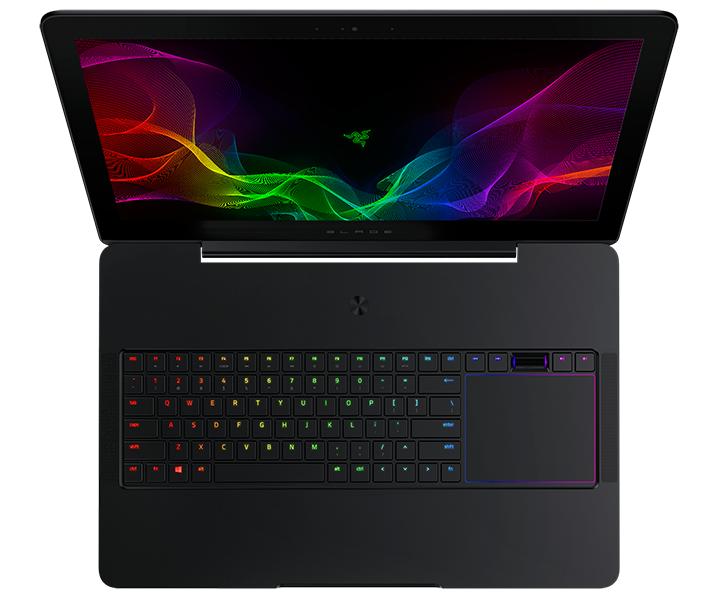 Introduced as Razer's take on a modern desktop replacement, the flagship Blade Pro packs an Intel Core i7 processor, GeForce GTX 1080 graphics, 32GB of memory, a 512GB SSD and a 4K IGZO display touchscreen supporting Nvidia G-Sync. All that and more in a laptop measuring less than 23mm thick? 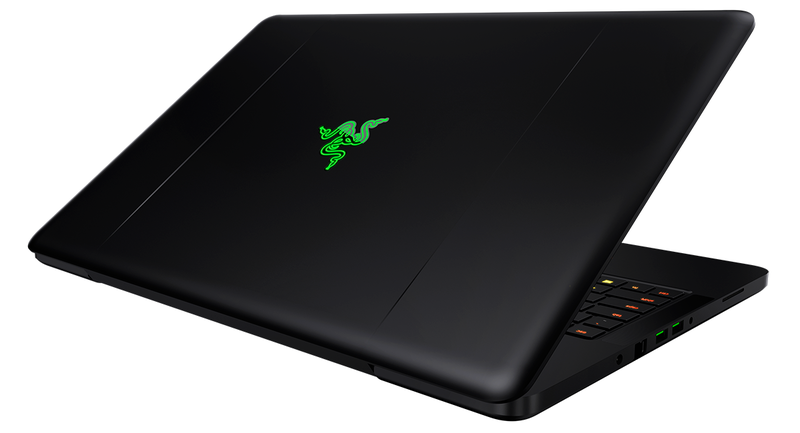 Razer Blade Pro is no doubt impressive, but there is a rather large obstacle in the form of a giant £3,800 price tag. 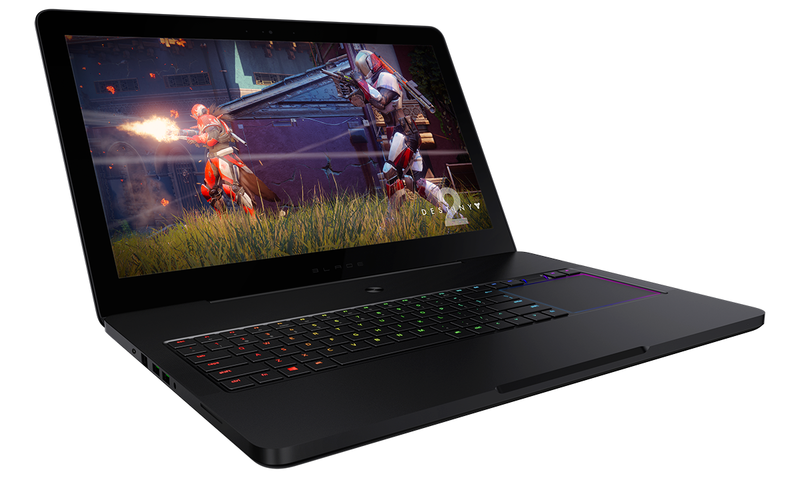 Such lofty positioning has thus far limited the laptop's appeal to a niche audience and Razer is now hoping to entice more users with an alternative model dubbed the Blade Pro Full HD. Available for £2,100 (or £1,830 during the December 2017 promotion), the Full HD variant downgrades a range of internal components to meet a more palatable price point. And though the insides have been chopped and changed, this is essentially the same high-quality chassis, measuring 424mm x 281mm x 22.5mm and weighing in at just under 3.1kg. A 17.3in laptop is never going to be deemed ultra-portable, yet Razer's profile is sleeker than most in this category and the aluminium unibody chassis provides a robust feel throughout. It is, in our estimation, one of the nicest big-screen gaming laptops on the market, though like many other Razer machines, the all-black enclosure does have an uncanny ability to attract fingerprints. So what changes does the more affordable model bring to the table? The most obvious, as the name suggests, is a new display. 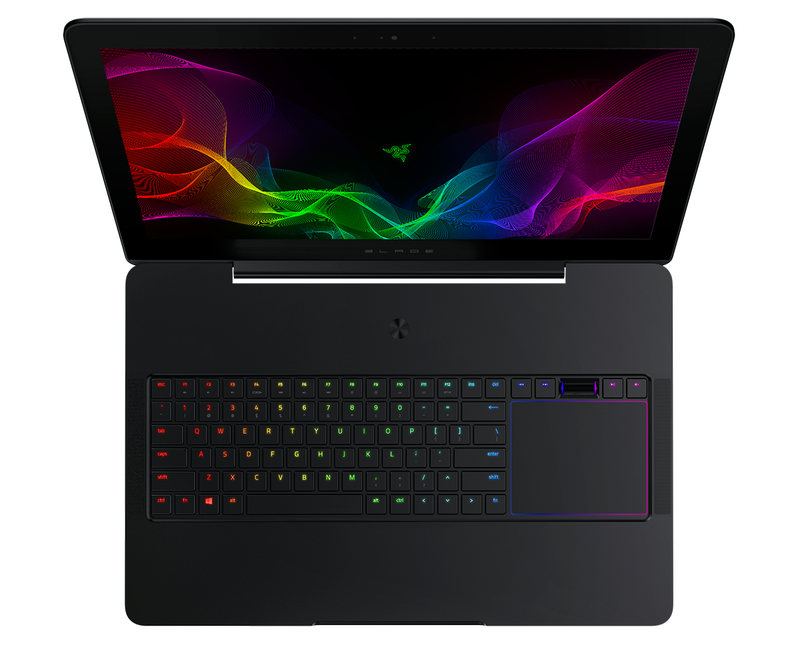 Whereas the original Razer Blade Pro attempts to tick all boxes with a 4K resolution, touch capability, 100 per cent Adobe RGB coverage and Nvidia G-Sync support, the Full HD keeps it simple with a 1080p IPS panel geared toward gaming. Touch capability has fallen by the wayside in favour of a matte finish that helps minimise reflections, viewing angles remain strong in all directions, while a 120Hz refresh rate is ideal for fast-paced games. It's a shame to lose G-Sync on what is primarily a gaming machine, though battery life should improve courtesy of the mutually exclusive Nvidia Optimus now being active. Were the display the only change between 4K and Full HD models, the latter would be a comparative bargain, but of course there are plenty more cuts dotted throughout the specification sheet. At the helm of the machine, the CPU has been dialled down a notch from Core i7-7820HK to Core i7-7700HQ, the amount of dual-channel memory has been sliced in half, to 16GB, storage has been switched from a couple of SSDs in RAID to a single 256GB SSD alongside a 2TB hard disk, and graphics have been downgraded from GeForce GTX 1080 8GB to GeForce GTX 1060 6GB. The latter is most keenly felt, as our benchmarks reveal that while the mid-range Nvidia GPU is adequate for 1080p gaming, it won't always take full advantage of the 120Hz refresh rate. Razer's choice of GPU also puts the value of this second-rung specification into question. Blade Pro Full HD might be 45 per cent cheaper than the all-singing, all-dancing 4K model; however £2,100 is a hefty sum for a system outfitted with a GTX 1060. There's no change in terms of ports, with Razer sticking to its standard Blade Pro selection. This includes HDMI 2.0, USB 3.0, Thunderbolt 3 Type-C and an SD card reader on the right side, as well as two further USB 3.0 ports, a combination audio jack, Gigabit Ethernet and a power connector on the left. A relatively compact 165W power supply is included, and if you're inclined to notice the smaller details, you may appreciate the fact that the supply and braided cables are nicer than those shipped with most gaming laptops. Such niceties are to be expected at this price point, and Razer ticks most of the relevant boxes. Upward-firing Dolby Digital stereo speakers pack a surprising punch, both wired and wireless networking duties are handled by Killer with support for DoubleShot Pro, and a 64-bit install of Windows 10 is pre-loaded with Razer's core apps but no obvious bloatware. It is interesting to note that battery capacity has been reduced from 99Wh on the Blade Pro 4K to 70Wh on the Full HD. This is presumably to make room for the 2.5in hard disk, and it's a shame Razer doesn't offer an option for the larger battery with a 1080p display. As a desktop replacement, Blade Pro holds up well with an expansive keyboard tray with one potential caveat; the unusual trackpad placement. I've been trying to get accustomed to this layout, yet I frequently find myself swiping below the spacebar expecting something to be there. And if I'm struggling to acclimatise to the right-sided trackpad, I can only imagine how a left-hander would feel. The layout isn't ideal for me - on a 17.3in machine I'd prefer the trackpad below the keyboard and a numpad to the right - and that's a shame as Razer's precision trackpad, in terms of size, feel and responsiveness, is one of the best I've used on a Windows laptop. Similarly, the keyboard, albeit not mechanical as per the 4K model, offers decent travel, excellent Chroma RGB illumination and a nifty scroll wheel. Those of you keeping a close eye on Razer laptops will appreciate exactly how the manufacturer has landed on this particular specification. Blade Pro Full HD is essentially the core components of the 14in Blade in a larger 17.3in body. Let's now evaluate the benchmarks.